I always have a wishlist. Very often I have a "will not rest until I get my hands on it" wishlist (thankfully right now, I have all the limited edition time sensitive items I really want). But I also have my "dream on" list. Things that are beyond my budget and beyond my reach but not far from my mind. That is where these two Koh items sit. This fall brings a very special edition of KOH on the market of one of its top sellers. The familiar glossy paint but in a special limited edition. This coating provides a direct solution for discolored nails. Itintensifies the natural color of the nail and the added calcium firmingworks and provides maximum flexibility. The paint creates the effect of a French Manicure in one step! Result: direct light, white nailedges and a fresh, pink nail bed. Now is this any better than other nail whiteners? Probably not. But look how GORGEOUS it is. Now the price itself is manageable, but the shipping and handling makes it now so realistic. € 21,50 = 29.00 Canadian. Really not outrageous, but I just cant justify it right now. No matter how stunningly gorgeous it is! 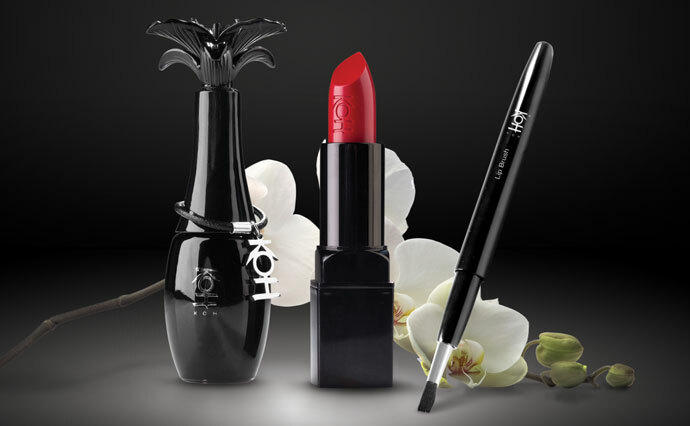 KOH Red Seduction occurs every woman in the footsteps of the traditional Japanese geisha. The geisha is a symbol of beauty,mystery and perfection. Makeup makes a large part of their daily appearance, where the red color has an important role. Based on Japanese culture and for the confidence and seduction that red lipstick brings in Western culture introduced KOH Red Seduction. KOH Red Seduction is a sensational red nail polish with matching lipstick and special lippenseel, packaged in a deluxe package. The ultimate gift for Mother or self-indulgence! It is unlikely I would ever wear the lipstick, though I would LOVE LOVE LOVE not only the nail polish in the stunningly gorgeous orchid bottle, but also the lip brush is something I would love to try. Again, it is in no way shape or from a need, but an OMG would I die if I opened up a package that contained this. Guess its a good thing that will never happen!! € 24,95 = 33.00 Canadian. This set really is an amazing deal! The polish alone retails for more than half the cost of this set. But by time I factor in shipping, duty, taxes and the like. I guess these pictures are as close as I am going to get, but at least the pictures make me happy! !